Facebook is now expanding its blood donation feature to US users. The technology, which lets Facebook users sign up as a blood donor and then gives them a notification when blood banks near them are in need, is expected to roll out in the US in the next few months. The program kicked off in India in 2017. Last year the social media giant introduced the program to Pakistan, Brazil, India and Bangladesh. Since launch, 35 million people have singed up as blood donors in the countries. The Facebook initiative was led by Hema Budaraju, product management director. “We had observed that there were a lot of posts and activity on Facebook related to people asking for blood donors and these were in the range of thousands per week when you look at India and Pakistan,” Budaraju told MobiHealthNews. The team talked to potential users in order to get an idea of what was needed. Budaraju said that the organization is already talking to stakeholders in the US about how best to implement the program in the future. According to the CDC, there are more than 9.5 million blood donors in the US and around 5 million people who receive the blood. 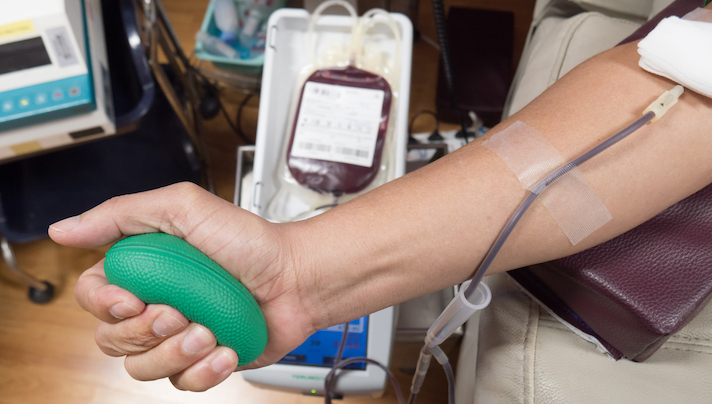 Still, supply can't always meet demand, according to the American Red Cross, who say that 36,000 units of red blood cells, nearly 7,000 units of platelets and 10,000 units of plasma are needed in the US each day. The Red Cross has had a blood donor app since 2014, but continues to look for ways to engage and recruit donors. Facebook has been actively entering the health space in recent years. Last year it teamed up with the Canadian government on an initiative to use artificial intelligence to help track social media posts that could indicate someone is at risk of suicide. In April CNBC reported that the social media giant was planning to team up with major US hospitals, hoping to obtain data from the providers about patient care.